There are 9 Memory Care Facilities in the Union City area, with 2 in Union City and 7 nearby. The average cost of memory care in Union City is $3,308 per month. This is lower than the national median of $4,650. Cheaper nearby regions include Hampton with an average starting cost of $2,575. To help you with your search, browse the 17 reviews below for memory care facilities in Union City. Better rated regions include Fayetteville with an average rating of 3.3 out of 5 stars. Caring.com has helped thousands of families find high-quality senior care. To speak with one of our Family Advisors about memory care options and costs in Union City, call (855) 863-8283. Senior citizens represent more than 12 percent of Union City's 21,379 residents. Fulton County, which is part of metro Atlanta, has a lower prevalence of Alzheimer's disease than other areas in the state. Although only 6.4 percent of Medicare-eligible residents in the district have dementia, the number of diagnoses is projected to increase 35 percent by 2025. 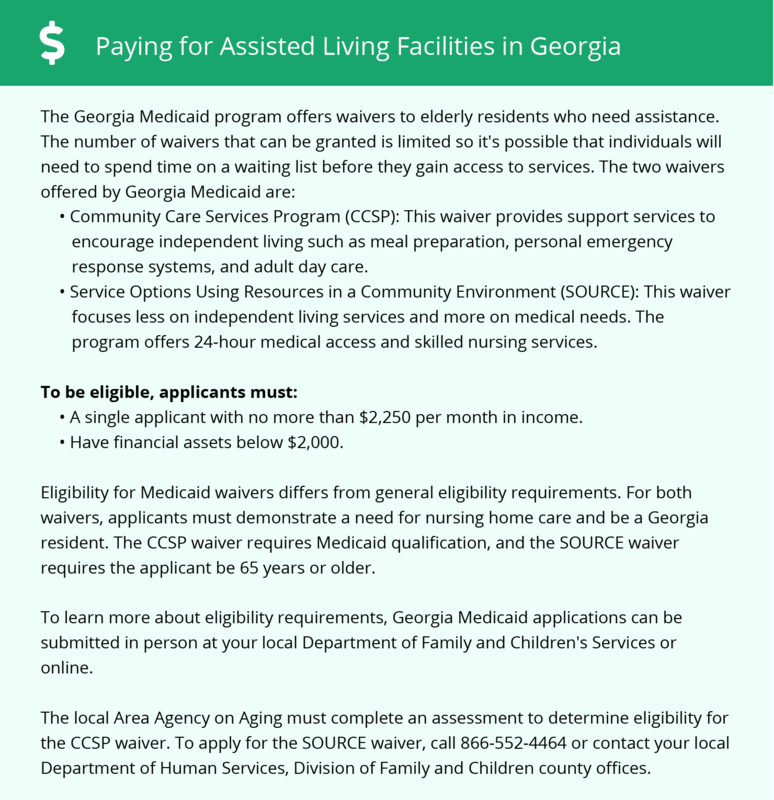 Because dementia patients have complex medical and behavioral requirements, all personal care homes and assisted living communities that operate memory care units must follow specific rules enforced by the Georgia Department of Community Health. Union City has several qualified memory care facilities. Families may also wish to consider additional options in Alpharetta, Sandy Springs and Atlanta's southwestern suburbs. Georgia's income tax policy benefits retirees. It offers generous exclusions for pensions, annuities and interest or dividends. Plus, Social Security is never taxed. Starting at age 62, taxpayers qualify for an exemption of $35,000 per year, which increases to $65,000 at age 65. These policies may enhance the affordability of memory care and personal services. Union City residents enjoy a moderate cost of living that's 4 percent below the state and national averages. Although transportation costs are 55 percent higher, healthcare costs are 9 percent lower than the national average, which can benefit seniors who require ongoing medical care. Although Union City is part of the Atlanta metro area, the city has few facilities from which to choose in the event of a medical emergency or illness. The nearest major hospital specializing in brain health and dementia care is Emory Healthcare, which is 30 minutes away in Atlanta's city center. One downside of living in metro Atlanta is the region's poor air quality. Of 25 cities surveyed, it ranked 23rd and 22nd based on the high level of ozone and year-round particulates respectively. Families who are concerned about the effects of poor air quality may wish to ask tour representatives about what they're doing to improve the facility's indoor air quality. Memory Care costs in Union City start around $3,308 per month on average, while the nationwide average cost of memory care is $4,798 per month. It’s important to note that memory care rates in Union City and the surrounding suburbs can vary widely based on factors such as location, the level of care needed, apartment size and the types of amenities offered at each community. Union City and the surrounding area are home to numerous government agencies and non-profit organizations offering help for seniors searching for or currently residing in an assisted living community. These organizations can also provide assistance in a number of other eldercare services such as geriatric care management, elder law advice, estate planning, finding home care and health and wellness programs. To see a list of free memory care resources in Union City, please visit our Assisted Living in Georgia page. Union City-area assisted living communities must adhere to the comprehensive set of state laws and regulations that all assisted living communities in Georgia are required to follow. Visit our Memory Care in Georgia page for more information about these laws.